Summary: In this article, you will learn the top real estate definitions every investor needs to know. 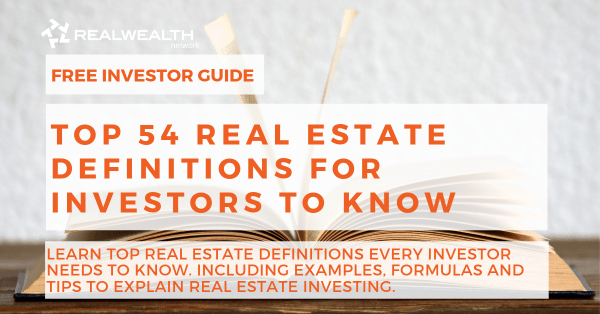 You’ll learn examples, formulas and tips to help explain real estate investing terminology, abbreviations and why they are important for investors to know. 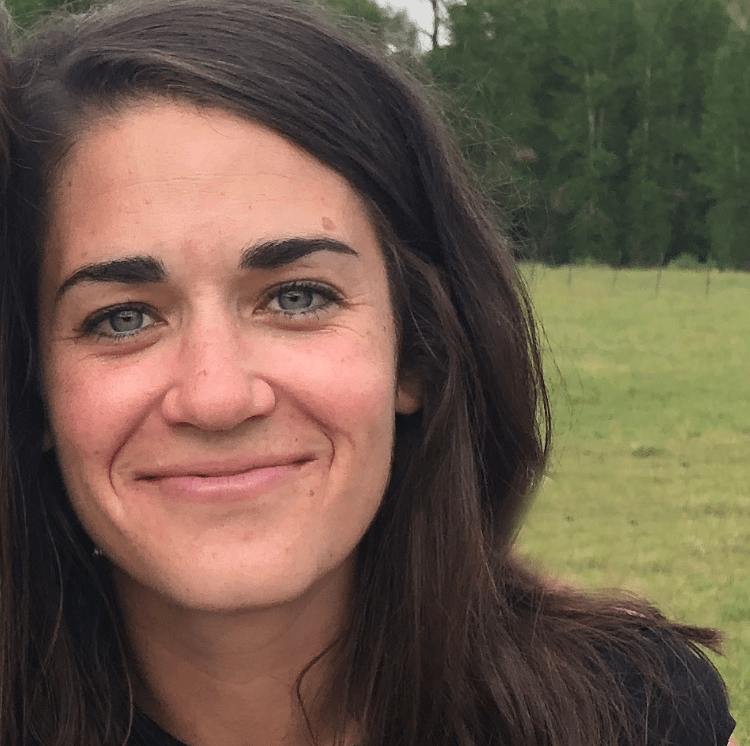 Whether you are new to real estate investing or a seasoned expert, this article can help you understand basic to advanced real estate investing definitions. We will cover the most commonly researched real estate investment terms and their respective definitions. Our intent, is for you to use this real estate investing glossary as a quick, easy-to-understand resource for questions, explanations, examples, formulas and investor tips. 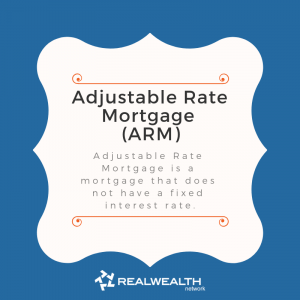 Adjustable Rate Mortgage (ARM) is a mortgage that does not have a fixed interest rate. An ARM can change monthly, based on benchmark interest rates. It’s typical for an ARM to have a fixed rate the first few years of the loan and then changes periodically. This is an important real estate investment definition to understand because mortgage payment amounts could fluctuate over the life of the loan due to market conditions. This fluctuation makes it difficult for investors to estimate their budget and potential return on investment. Basically, amortization is how a mortgage is paid down over time. An amortized mortgage isn’t paid evenly over the life of the loan. Instead, each month a little more of your money goes toward the loan principal and less towards interest. Each mortgage payment goes toward a portion of the principal and a portion of the interest. Annual Depreciation Allowance is the depreciation of an asset and how much an investor is allowed to deduct or write off every year according to tax code. This is basically the process of deducting costs related to buying and improving an asset or rental property. Instead of one large deduction during the year the property is bought or improved, depreciation deduction is distributed over the “useful life” of a property. You use the property in your business or as an income-producing activity. The property has a determinable useful life, meaning that it is something that wears out, decays, gets used up, becomes obsolete or loses its value from natural causes. The property is expected to last more than one year. Residential property “useful life” term is 27.5 years, while nonresidential property is 39 years. Depreciation deductions are spread over these lengths of time. Annual Percentage Rate (APR) is the annual rate charged for borrowing or earned through an investment. APR is expressed as a percentage that represents the actual yearly cost of funds over the term of a loan. This includes any fees or additional costs associated with the transaction but does not take compounding into account. Appraised value is the evaluation of a property’s value. A professional appraiser is typically hired by the lender during the mortgage origination process and paid for by the borrower. The appraised value determines how much money may be borrowed and under what terms. Loan-to-Value (LTV) is determined by an appraisal. Appreciation is the increase in the value of a property over time. This happens for a few reasons, a rise in demand or a dip in supply, inflation or interest rate fluctuations. Appreciation also builds equity for the owner. Appreciation one of the top real estate definitions for investors to know. Building classifications allow an investor to differentiate buildings and rationalize market data. Investment properties and their value falls into four category classifications, A, B, C or D.
An “A” property is more expensive and in higher demand. “A” properties are generally newer, in great condition and in high-demand markets. Older, lower quality construction and in less-desirable areas are classified as B, C or D properties. New investors should consider “B” or “C” properties to balance risk versus reward. “A” properties may have more potential for higher monthly cash flow and return on investment, but the risk is often higher. Capital Expenditures (CapEx) are any new purchases or major improvements made that increases the lifespan and value of a property. This also includes any equipment or supplies costs needed to make the improvements. New roof, new furnace, new floors, renovating a bathroom, etc. This does not apply to smaller maintenance expenses like, painting, a leaky pipe or carpet cleaning. Capital Expenditures and routine maintenance are taxed differently, so it’s important for investors to understand the difference and list them appropriately on tax forms. Capitalization Rate is calculated by the Net Operating Income or NOI (defined below) divided by sale price or value of a property. This metric helps buyers determine their expected return on investment, prior to factoring in mortgage financing. A low Cap Rate usually comes with lower risk. Capital gains tax is the profit an individual earns from the sale of a property or an investment. There are two categories for capital gains, short term and long term. Investments that qualify as short term are usually held for a year or less and are taxed at your regular income tax rate. Long term investments are typically held for longer than a year and are taxed at a lower rate than ordinary income tax. Cash flow is the amount of money that goes into the property owners pocket each month after operating expenses have been paid (including loan payments). Positive cash flow is spending less money than you earn on an income property. Negative cash flow is spending more money than you earn. A cash on cash return is the ratio between an assets annual cash flow and the property’s down payment. This is generally calculated before taxes. CoC is normally used to determine the performance of commercial real estate. To calculate, first determine your annual pre-tax cash flow: (gross scheduled rent + other income) – (vacancy + operating expenses + annual mortgage annual mortgage payments). Then, divide pre-tax cash flow by total cash invested = CoC. A clear title is where there is no lien from creditors or others that put into question the legal ownership of an asset. An owner of a home or rental with a clear title can claim full legal ownership of the property, with no disputes from other parties. Unresolved building code violations can cause a title to be “dirty” and warn investors of potential problems acquiring the property. When looking to purchase investment property, a title search should always be done to ensure clear ownership and avoid any question of who owns the property. Closing costs are paid by the buyer upon purchase of a property, in addition to the down payment. These costs include, mortgage insurance premium, homeowners insurance, points, property taxes, etc. Closing costs are usually between 3 percent to 4 percent of the loan amount and another commonly used real estate definition investors should know. A contingency is a condition set on the purchase agreement of a property, often with a buyer termination option. A potential buyer making an offer on a home, contingent on the sale of his or her current home. An inspection contingency allows the buyer to have the home inspected and negotiate new costs based on the inspection results. A Conventional mortgage is a type of mortgage loan not insured by the Federal Housing Administration (FHA), usually requiring between a 10 percent to 20 percent down payment. Debt-to-Equity Ratio in real estate, is a measure of ownership. How much of the property an investor owns versus how much is owed on the mortgage. This is an important metric because it helps investors have an idea of how much capital they’ve put into the property and how much they could walk away with upon sale. This ratio is also considered when refinancing or borrowing against with a home equity line of credit, to purchase another home or investment property. D/E affects creditworthiness. Depreciation is the decrease in the value of a property over time. This is where Annual Depreciation Rate comes into play and determines how much a property owner is allowed to deduct every year. Due Diligence is taking caution, performing calculations, reviewing documents, procuring insurance, walking the property, etc., before purchase. Ordering an inspection and appraisal of a property is standard due diligence procedure. Basically, doing your homework before buying real estate in order to minimize risk and potential expenses after purchase. It’s best practice for the buyer to personally walk through the property, review all documents, and calculate expenses. Earnest money is a set amount of money submitted by a potential buyer with a purchase offer to show “good faith” that the buyer intends to follow through with the sale of a home. The broker holds the money in an escrow account until closing. Earnest money can then be used toward closing costs or down payment upon closing. Earnest money ranges anywhere between $500 and $2,000. The buyer has the potential of losing their earnest money if the sale falls through for reasons caused by the buyer. Effective Gross Income is the Potential Gross Rental Income plus other income minus vacancy and credit costs of a rental property. EGI is meaningful in terms of understanding real estate definitions because it provides the value of a rental and how much positive monthly cash flow it could produce. Equity is the difference between the property’s current market value and the money owed on the mortgage. Upon selling the property, equity is the money you would receive after paying off the mortgage amount. Equity can increase as the loan is paid down and/or the value of the property appreciates. Escrow is when funds, like earnest money, documents, or the property itself, are held by a third party, other than the buyer or seller, and released upon closing. When a property is in “Escrow” it basically means that a purchase offer has been submitted by a potential buyer and a sale is in process. FHA financing is a type of loan insured by the Federal Housing Administration (part of the U.S. Department of Housing and Urban Development or HUD), which requires a lower down payment than conventional loans. Down payment required is usually between 3 percent and 5 percent of home value. Fixed-Rate mortgage is a type of mortgage that has a set or fixed rate which stays the same throughout the term of a loan. This is one of the important real estate investment definitions for investors to know because the same mortgage payment is expected every month and can help accurately predict returns on investment. Flipping is when investors buy a property, fix it up, and try to sell it for a profit. Gross Operating Income is the actual amount of rental income an investor receives to service or operate the property, minus vacancy and credit loss. Gross scheduled income – vacancy and credit loss + other income = GOI. An example of “other income” could be income generated from coin-operated laundry. Gross Rental Yield is the total income made from a property, divided by the purchase price and closing costs. “Gross” refers to the total income before deducting operating expenses. Monthly rent x 12 / purchase price + associated costs = Gross Yield. This gives investors a reference for annualized return on investment. Gross Scheduled Income is annual rental income an investment property could potentially produce if 100% of units were rented. Actual rental income + vacant units = GSI. Income-producing assets are investment like rental properties, bonds, dividend stocks, treasuries, systemized businesses that run themselves, and intellectual property that you have licensed. They offer on-going passive income to the owner. An inspection report is a written record of the property’s current condition including, foundation, roof, interior and exterior, heating and A/C, etc. Inspections are an important step in a buyers due diligence on a property, as it could potentially change the value and selling price of the home. Internal Rate of Return is a measurement of a property’s long-term profitability potential. IRR considers the annual net cash flow and change in equity over time. Your IRR is the best indicator of a property’s estimated performance over the lifetime of your investment. The higher an IRR, the better the investment. Leverage is a general term for any technique to multiply gains and potential losses. Most often it involves buying an asset using borrowed funds, with the belief that the income from the asset will be more than the cost of borrowing. A loan origination fee is charged by the lender for evaluating, preparing and submitting a proposed mortgage loan. Loan to Value is how much a lender will loan a borrower based on a percentage of the property’s value. The value of a property is usually determined by an appraiser. A mortgage is the money borrowed from a lender to purchase real estate. Mortgage Insurance Premium is an insurance policy used in FHA loans if your down payment is less than 20 percent. The FHA assesses either an “upfront” MIP at the time of closing or an annual MIP that is calculated every year and paid in 12 installments. Multi-family homes are a real estate property with more than one unit. Apartment buildings, condos, duplexes, and triplexes. Net Operating Income is income generated annually from an investment property, minus the expenses associated. NOI is calculated before tax and does not include, depreciation, loan payments, or capital expenses. Expenses include, property management fees, running and maintaining the property, utilities, and property tax. Points are fees you pay to your lender upfront when you borrow a loan. The principal is the amount of money owed on a loan or mortgage, not including interest. Property taxes are taxes based on the value of the home that are paid monthly by the homeowner, as part of a mortgage payment. Property taxes are used to fund community services like, schools, parks, etc. A purchase agreement is a legal contract in real estate between the buyer and seller where all terms and conditions are outlined and agreed upon prior to closing. A Real Estate Investment Trust is lot like mutual funds, except they hold individual properties in a trust, rather than stocks and bonds. An REIT buys and manages the real estate properties using investor money. REIT’s have many advantages for real estate investors looking to diversify their portfolios and don’t have to manage any properties themselves. Real Estate Owned is when a property is foreclosed on by a bank that held the mortgage, it’s now owned by the bank and is referred to as REO property. A short sale property is listed as REO and owned by a bank. Return on Investment is an accounting term that indicates the percentage of invested money that’s recouped after the deduction of associated costs. There are several variable costs associated with owning a rental property such as, maintenance costs, repairs, renovations, and how much money was borrowed. ROI is one of the top real estate definitions for investors to know. Determining ROI on cash transactions is pretty straightforward. Calculating ROI on financed transactions is a bit more complicated. For example, you buy a rental property for $100,000 and put 20% of the purchase price down or $20,000. Closing costs were $2,000 and you spent $5,000 for remodeling. Total out-of-pocket expenses were $27,000 ($20,000 + $2,000 + $5,000). Next, we need to calculate the costs with a mortgage. Let’s say your loan is 30-years at a fixed 4% interest rate. $80,000 (loan amount) + 4% interest = $381.93 per month on mortgage payment. Add extra costs of $150 for expenses like taxes, insurance, utilities, making your total monthly payment $531.93. Monthly rental income of $1,000, totaling $12,000 per year. Your monthly cash flow or ROI would be $468.07 (or $5,616.84 per year). SDIRA Investing is using your IRA or retirement account to invest in real estate. Any returns generated from the investment property are tax-deferred and must be deposited back into the IRA. These funds cannot be withdrawn prior to retirement. A short sale is when a home or rental property is being sold for less than the amount owed on the mortgage. A home is being sold for $150,000 and $175,000 is still owed on the mortgage, the seller is responsible for the $25,000 deficiency. Single Family Rentals are free-standing homes that are used as an investment property to generate passive income. SFR’s are often easier to rent out to long-term tenants, especially family’s; they’re easier to easier to finance with long-term fixed loan rates; and they tend to be easier to sell (if they are in the median range of an area with strong population and job growth). Title Insurance is a type of insurance that protects both lenders and homeowners in the event of loss from legal defects of the property title. A Turn Key Property is a type of investment property that is move-in or almost move-in ready. As far as real estate definitions go, Turn Key Properties are appealing to investors because they can be rented out right away, without any major repairs or renovations needed. Vacancy rate is the percentage of all units of a rental property that are vacant or unoccupied at any given time. Vacancy rates are calculated by the number of vacant units x 100 / total number of units. The 1% Rule is the rent to expense ratio a property must have in order to produce positive cash flow. Rent on an investment property must be at least 1% of the purchase price to get a positive ROI. A 1031 Exchange is an investment strategy that allows investors to “defer” paying capital gains taxes on an investment property when it is sold. As long as another “like-kind property” is purchased with the profit gained by the sale of the first property, according to the IRS. There are several rules and guidelines to qualify and complete a 1031 Exchange, so it’s highly suggested to utilize a real estate investment expert or an attorney specializing in real estate. All the real estate definitions and terms can feel like learning a new language. Learning and understanding the most commonly used real estate investment definitions to ensure that you’re equipped to decide if a rental property will be a good investment or not. Stick to the numbers, avoid letting emotion get in the way and utilize the resources and knowledge gained to make savvy real estate investment decisions. Fettke, Kathy. Retire Rich with Rentals. 2014.